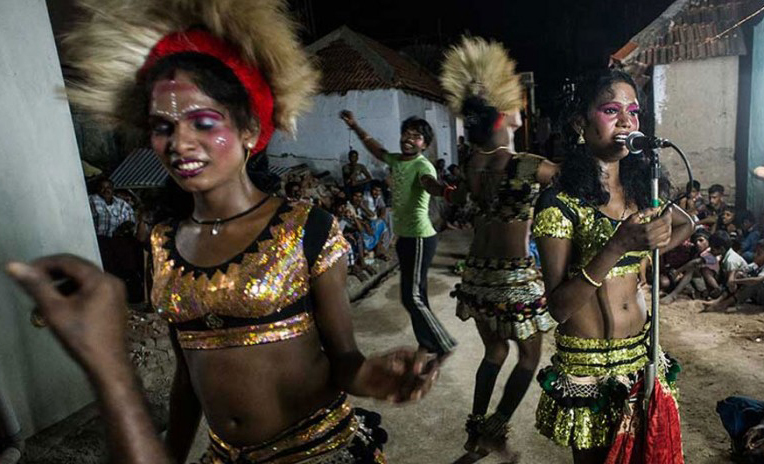 In case you missed it, on Nov. 3, 2015, the Religious Freedom Center and the Pulitzer Center presented a conversation about India’s transgender women. 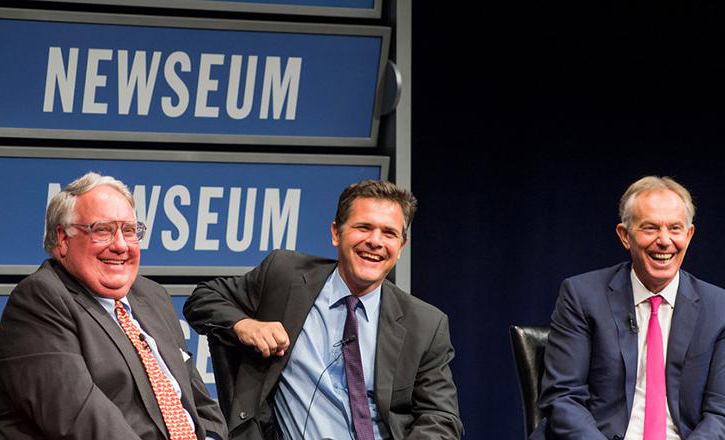 To mark the opening of the new exhibit “40 Chances: Finding Hope in a Hungry World — The Photography of Howard G. Buffett,” the Newseum presented a special evening program featuring Buffett, former British Prime Minister Tony Blair and conservationist Emmanuel de Merode. 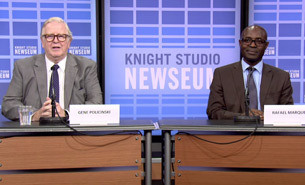 On Saturday, Sept. 26, 2015, the Newseum Institute presented a conversation with Angolan investigative journalist and human rights activist Rafael Marques, recognized with several international awards for his courageous reporting on conflict diamonds and government corruption. 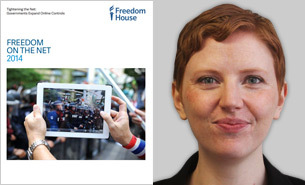 On Friday, Sept. 25, 2015, Freedom House’s Madeline Earp discussed the organization’s annual report, Freedom on the Net, with a focus on China. 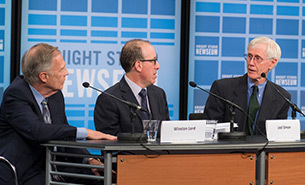 On Thursday, Sept. 24, 2015, the Newseum Institute presented a panel discussion on the political, economic and social ties between the U.S. and China, with a focus on the use of diplomacy and other means to support freedom of expression and religious liberty around the world. 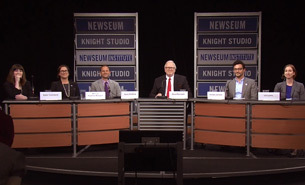 On Monday, Sept. 21, 2015, the Newseum Institute kicked off Freedom Week at the Newseum with a panel discussion featuring journalists and human rights advocates discussing the perils of reporting on threats to religious freedom around the world. 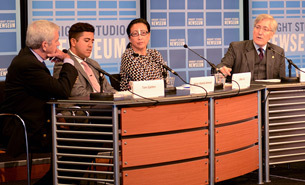 On Wednesday, Sept. 16, 2015, the Newseum Institute hosted a discussion on the issues related to the use of police body cameras and the policies proposed by many state lawmakers to exempt body camera footage from open records laws. 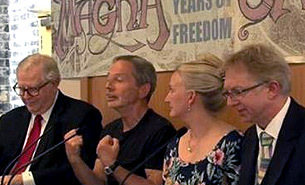 Watch video of a May 28 spiked program in London that explored the historical significance of Magna Carta and why it still matters today. 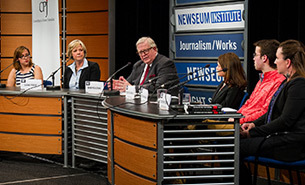 On March 26, 2015, Newseum Institute chief operating officer Gene Policinski hosted a panel with three University of Maryland journalism students to discuss Press Uncuffed, their new campaign to free imprisoned journalists in partnership with the Committee to Protect Journalists (CPJ). On March 13, 2015, timely issues related to transparency in government and freedom of information laws and practices were discussed at the Newseum.